The Board of Directors of Todokai International wishes to congratulate Patrick Lauzier, Member of France Todokai, for its exemplary involvement within the Organization as well as for the opening of his second dojo. Having been able to count on the support and teaching of Eric Lejeune for several years, he decided to leave his dojo and the European Federation to join France Todokai following the split between the FEKAMT and the Cercle. 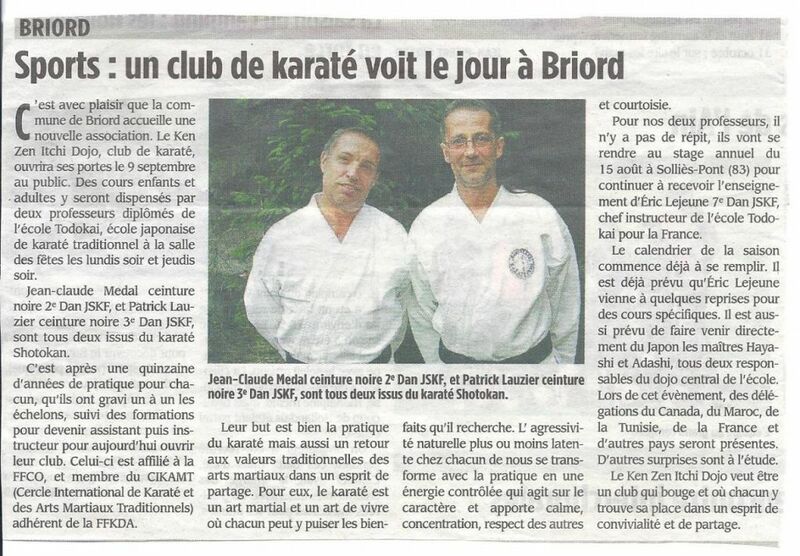 M. Lauzier opened his first dojo in Briord, 'Ken Zen Itchi' in September 2013 in the Department of Ain in eastern France. 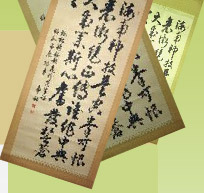 After only 5 months, the club has already almost 60 members. 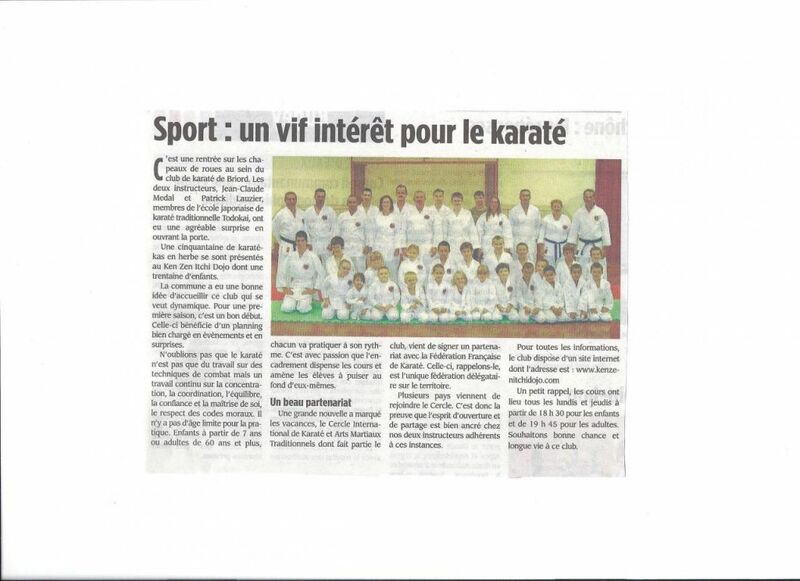 To add to this success, Patrick has inaugurated the opening of a second dojo in the region of Isère in Bouvesse-Quirieu. Congratulations to M. Lauzier! 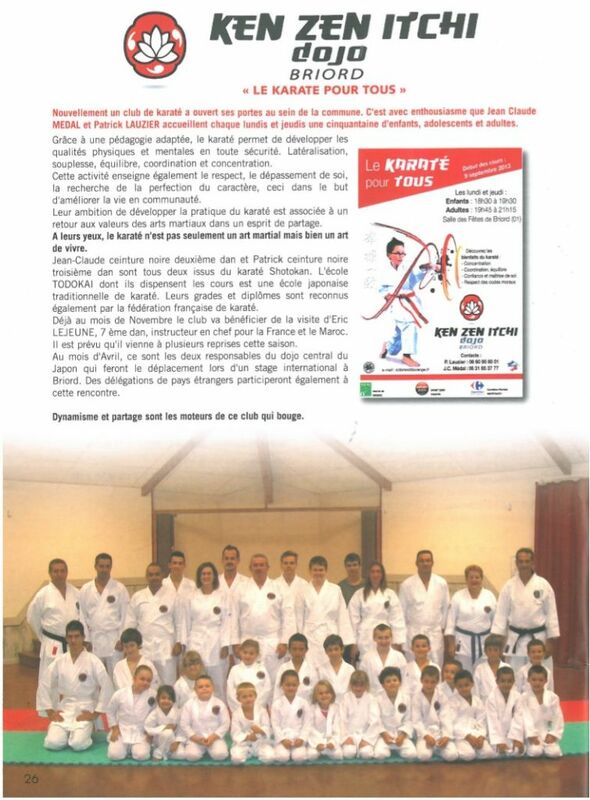 We would like to highlight also his dedication to the organization by mentioning that he organized for the second consecutive year the shihankai France Todokai event. Thanks Patrick for your exemplary involvement!